The year 2018 is a significant one for Glasurit, BASF’s premium paint brand. Exactly 130 years ago, Max Winkelmann laid the cornerstone for his company that spawned the world’s successful Glasurit automotive refinish brand. Since then, Glasurit has not only participated in the developments of the paint technologies but has also played a key role in shaping them, going down in paint history time and time again. One of the first paint products developed by Winkelmann was the paint colour crystal white, an absolute innovation of its time. Up until then, it was quite common in Germany to apply pigments and paint in two successive coats. Winkelmann’s revolutionary idea of combining pigments and binders in a single ready-for-use product made application much easier back in the day, and also substantially increased the durability of the coating. This philosophy of developing products that make it easy for users to achieve first-class results, continues to serve as Glasurit’s basis for success today. In the past 130 years, Glasurit has made a name for itself as a technological leader with its innovative products. In 1925, Glasurit began producing paints at its Münster site. These paints made Germany’s first spray application for cars possible. In 1964, Glasurit introduced 54 Line, the first metallic basecoat/clearcoat system for automotive refinishing. As Glasurit continued to make strides across the globe, the product was brought onto the South African market in 1978 where it was produced and distributed locally. After two successful decades on the market, BASF Coatings Services planted its roots and took over direct sales of the top performing premium paint brand. In 1982, the introduction of the systematically coordinated products in the Glasurit RATIO System heralded the age of efficient, simple, clearly arranged and safe automotive refinishing processes. In 1992, Glasurit became one of the first manufacturers in the world to launch a waterborne refinish system. With Glasurit 90 Line, automotive refinishing is easy, economical and safe, and thus worldwide success came overnight, and continues today. Today, Glasurit’s product range extends far beyond refinish products. Glasurit offers innovative tools for color matching, certified technicians and consultants, a comprehensive range of consultancy products for boosting efficiency, a global network of training centres and, last but not least, the Refinish Competence Centre in the heart of Midrand, Johannesburg. This state-of-the-art training facility for the refinishing sector, supports body shops in achieving perfect refinishing results as efficiently as possible and securing long-term economic success. 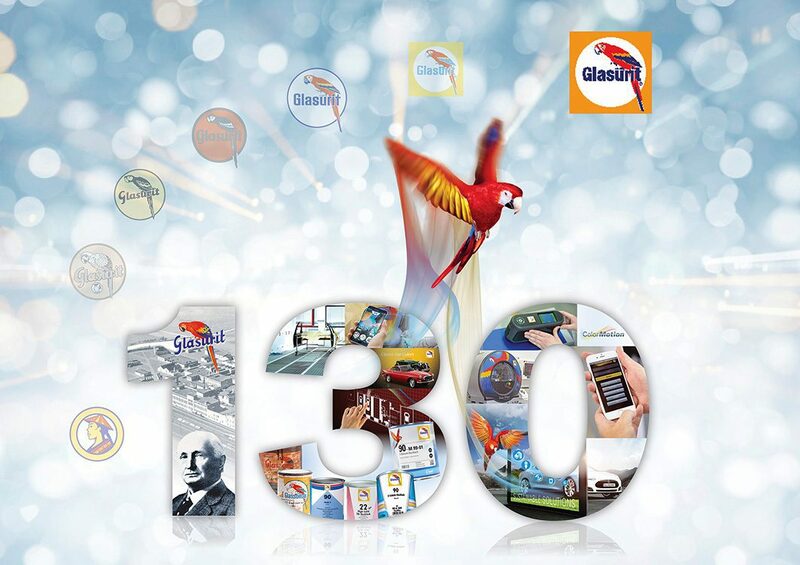 For 130 years, Glasurit has remained true to its philosophy and has thus not just been successful itself, but has made its customers successful as well. Glasurit is taking the opportunity on this anniversary to thank its customers worldwide.